The international break is perfect time to recognise emerging talents. Here are the best 18 Under 23 players across Europe. 1- Kepa Arrizabalaga, 23: Chelsea goalie Arrizabalaga is more than filling the boots vacated by Thibaut Courtois. A £71m world record price tag could have weighed down a lesser mortal. Not Arrizabalaga. The former Athletic Bilbao shot stopper has already kept 8 clean sheets in 16 games. 2- Wan Bissaka, 19: Crystal Palace right back Wan Bissaka has impressed me with his natural instinct for defending. A tremendous athlete who gobbles up ground like a 100m sprinter, Bissaka is making hay of Premier League left sided midfielders double his age. His excellent form was recently rewarded with an England U-21 call up. Trent Alexander Arnold, are you watching? 3- Stanley Nsoki, 19: Paris Saint Germain manager Thomas Tuchel deserves plaudits for brooding young talent like left back Stanley Nsoki. The French U-21 star has come in leaps and bounds since the season commenced. He looks on par with first choice Juan Bernat, who is mostly playing in the Champions League. 4- Joe Gomez, 21: Liverpool centre-back Joe Gomez is one half of Liverpool’s best defensive partnership of the Premier League era. The Kop are particularly difficult to break down at Anfield where Gomez has excelled playing in both the centre and right side of a back four. 5- Dan Axel Zagado, 20: Had never heard of this man mountain before the current Bundesliga season. Though still vulnerable to the occasional error, Zagado is thriving on the left side of Bundesliga pacesetters Borussia Dortmund. Zagado can’t only get better under Lucien Favre. 6- Nicolo Barrella, 21: It is only a matter of time before Cagliari’s most gifted player is poached by Europe’s elite clubs. Barella is a non-stop, no holds barred, take no prisoners midfielder who would thrive in both gengenpress and Tiki Taka. 7- Jadon Sancho, 18: Sometimes it pays to be impatient. How else would we have known about the mercurial wing skills of Sancho hadn’t he abandoned the comfort of Manchester City reserves for Borussia Dortmund? This twinkle toed speed demon is the most rapidly developing winger in European football. Sancho will be a key creative influence for England at Euro 2020. 8- Enrico Chiesa, 21: The son of former Azzuri forward Enrico Chiesa is almost a carbon copy of Barella. Chiesa inspires and perspires in equal measure for Serie A side Fiorentina. He is a godsend to Italy national team manager Roberto Mancini as Chiesa and Barella are the pair providing legwork for his Azzuri renaissance. 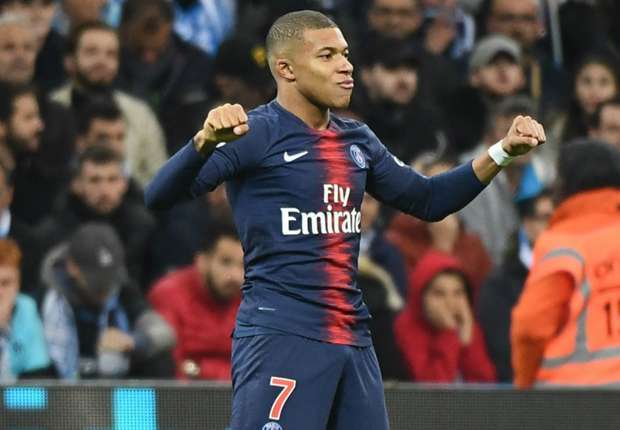 9- Kylian Mbappe Lottin, 19: What can I say that hasn’t been penned about Mbappe? I was accused of ‘rural-urban excitement’ when, one year ago, I predicted that Mbappe would be a better forward than Thierry Henry. I think I was spot on. Mbappe has quicker feet, manipulates small space better, is more ambidextrous and is the more natural finisher than Henry. 10- Kai Havertz, 19: Bayer Leverkusen creative dynamo is as gifted a German attacking midfielder as 1990 World Cup winner Lothar Mattheus. I remember watching Matthaeus’ jaw dropping displays when he was 18 year old, and muttering WOW. Kavertz evokes similar emotions. 11- Ousmane Dembele, 20: His €120m price tag makes it easy to forget Dembele is still in his professional football nappies. The French forward is finally coming to terms with the demanding Barcelona modus operandi. That Dembele is not looking out of place along with Lionel Messi and Luis Suarez is an awesome achievement on its own. Honourable mentions go to Paris Saint Germain pair Christopher Nkunku, 21, and Moussa Diaby, 19; Manchester United duo Anthony Martial, 22, and Marcus Rashford, 20, as well as Arsenal starlet Matteo Guendouzi, 19.